Adina Roskies is Professor of Philosophy and chair of the Cognitive Science Program at Dartmouth College. 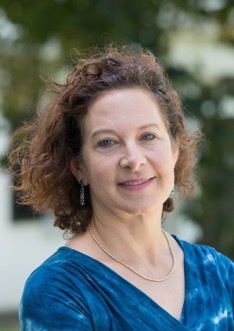 She received a Ph.D from the University of California, San Diego in Neuroscience and Cognitive Science in 1995, a Ph.D. from MIT in Philosophy in 2004, and an M.S.L. from Yale Law School in 2014. Dr. Roskies’ philosophical research interests lie at the intersection of philosophy and neuroscience, and include philosophy of mind, philosophy of science, and ethics. Her recent work focuses on free will and responsibility. Dr. Roskies is also a member of the AJOB Neuroscience editorial board. In the last several months I’ve attended a few workshops on the topic of “cognitive ontology.” One workshop, held at the Rotman Institute at the University of Western Ontario was entitled “Rethinking the taxonomy of psychology”; the other, at Macquarie University was called “Reshaping the mind: New work on cognitive ontology”. The basic question raised by these workshops is whether the concepts we use to investigate cognition and refer to its constructs and processes are the “right” ones, or the ones we ought to use. The way in which this question has been elaborated by the speakers at these meetings varies: the topic has very broad scope. In what follows, I’ll sketch a few of the ways it has been discussed. As you will see, although the topic is more centrally one of interest to philosophy of neuroscience and psychology, it also has potential ramifications for neuroethics. The way in which I have been thinking of cognitive ontology is prompted by my interest in neuroimaging.